Likhoelesaurus is a genus of dinosaurs that hasn’t been defined yet. Bones have been ascribed to this genus, but they have not been researched yet to yield enough information about this dinosaur. It is possible that these bones may belong to an existing dinosaur species. But until further studies are performed and relevant theses are published, nothing can be said with certainty about this creature. Even its very existence is doubtful till more data is gathered. Many scientists have noticed that the remains of the Likhoelesaurus could have been those of a theropod dinosaur. Others believe that they could have belonged to an Archosaur. But these are just conjectures. It is certainly possible that the remains could belong to a species of vertebrates completely different than those mentioned above. The fossils of the Likhoelesaurus were discovered in South Africa. It is many a times referred to as the mystery dinosaur of Africa. The genus Likhoelesaurus is considered a nomen nudum taxon. The fossils that are today called the Likhoelesaurus were discovered in The Lower Elliot Formation. This lies in the southern part of Africa. The remains were discovered by paleontologist Paul Ellenberger in the year 1970. Ellenberger was exploring the sedimentary and volcanic belts of Africa with his brother and fellow geologist Francois Ellenberger when he discovered the remains. The location of recovery of the remains of the Likhoelesaurus was near a small village called Li Khole. It seems clear that the Likhoelesaurus was named after the village of Li Khole where its fossils were discovered. The suffix’- saurus’ is derived from the Greek word for ‘lizard’ which is ‘sauros’. Thus the name ‘Likhoelesaurus’ translates to ‘the lizard from Li Khole’. The remains of this dinosaur were named by their finder, Paul Ellenberger. Ellenberger briefly mentioned two subspecies with his find. He christened them the L. ingens and the L. ferox. ‘Ingens’ is the Latin term for ‘unknown’ or ‘nothing’. The term ‘ferox’ also is a Latin word and translates to ‘brutal’ in English. The Likhoelesaurus is known only by five teeth specimens. They were found to be sitting on a small piece of the mandible but it was too badly deteriorated to be of any diagnostic value. These teeth were acute and were concave on the inside and were convex on the outside. Such traits are seen in meat eating dinosaurs. Only one photograph of the remains of the Likhoelesaurus is readily accessible today. In case of the Likhoelesaurus, there were very scanty remains to work with and hence paleontologists were afraid they would destroy the remains in an attempt to ascertain their age. But after careful analysis, it was found that the remains belonged to the late Triassic period. They were probably from the Norian age of the Triassic period. The remains of the Likhoelesaurus have not been classified yet by any scientist. Ellenberger believed that the remains could have belonged to a theropod dinosaur. But he also conceded that they could just as easily belong to a Rauischian. The size and structure of the teeth fossils resembled theropods. Theropod dinosaurs were seen very commonly during the later stages of the Triassic period. These facts make it possible that the Likhoelesaurus could have been a theropod. But rauisuchians also possessed characteristics similar to the ones mentioned above. Thus, until more information is made available, it is not possible to positively determine the taxonomic position of the Likhoelesaurus. Two subspecies are mentioned under the genus Likhoelesaurus, namely the L. ingens and the L. ferox. The basis for this classification is unknown. 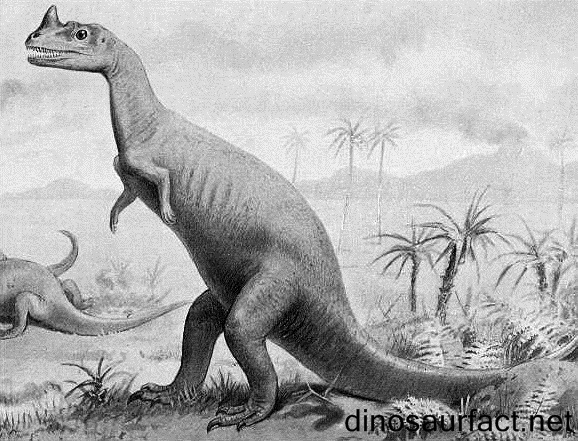 Dinosaurs belonging to order Theropoda are called theropods. These first appeared on the earth in the Triassic period and were seen well into the Cretaceous period. 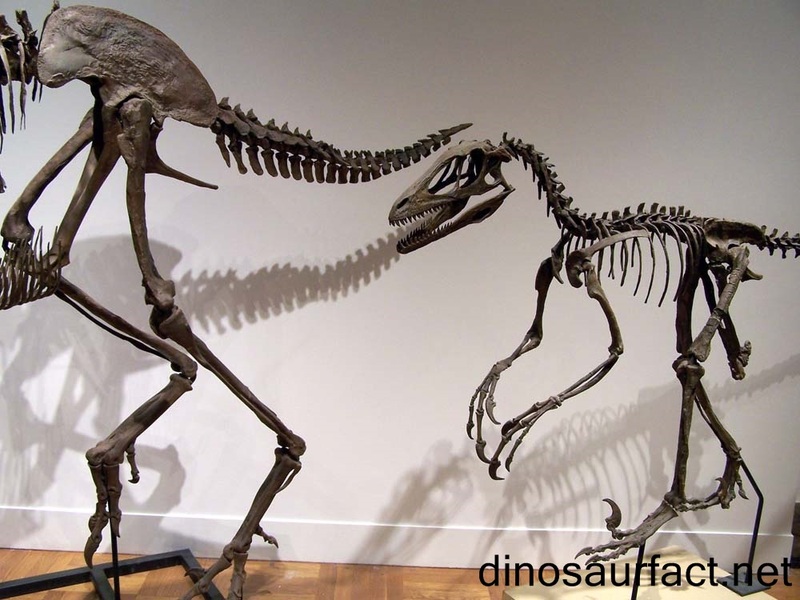 Most of the theropods walked on two feet and had carnivorous feeding habits. Some of them even possessed feathers. It is believed that they were the ancestors, or were at least related to the ancestors of modern birds. Rauisauchians were a group of archosaurs. They were mostly meat eating and quadrupeds. They lived dominantly through the Triassic period and then dwindled after the Triassic- Jurassic extinction event. Theropods became alpha hunters only after the rauisuchians became extinct. The Elliot Formation is a large natural rock structure present in the countries of South Africa and Lesotho. It is divided into the Upper Elliot Formation and the Lower Elliot Formation. It contains fossils from the latter part of the Triassic period. The Upper Elliot Formation is almost exclusively made up limestone. It has fossils from the Rhaetian and Hetangian ages. Dinosaurs like the Leptospondylus, Massospondylus and the Euskelosaurus were discovered here. The Lower Elliot Formation shows much more geological diversity. It consists of fossils from the Carnian and Rhaetian ages. The most famous dinosaur discovered here was the Plateosaurus. The Elliot Formation has yielded more than half of the African Mesozoic fossils. Paul Ellenberger was a French paleontologist of Swiss origins. He had visited Lesotho with his brother Francois Ellenberger many times in his career for paleontological excavations. Ellenberger had described the remains of the Cosesaurus avipes in great detail. Along with the Likhoelesaurus, he had discovered another dinosaur in Lesotho which is yet undefined. He had named this dinosaur the Thotobolosaurus. 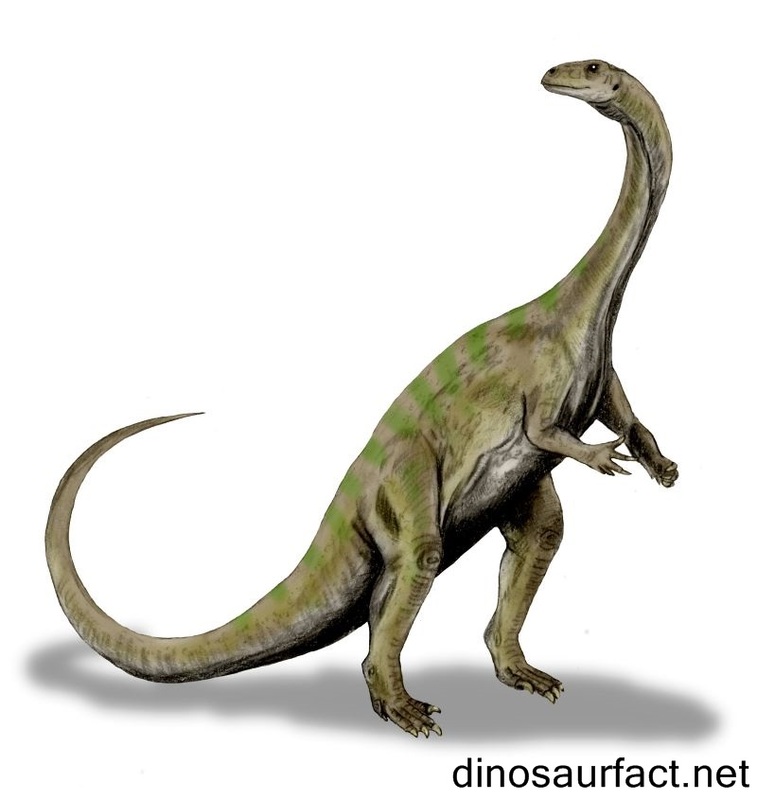 He believed that this dinosaur was an early sauropod and was relatively larger in size. Paul Ellenberger’s brother Henri Ellenberger was a psychologist and a published author. As the Likhoelesaurus has not been defined, its physical characteristics are difficult to determine. Triassic theropods were small in size while rauisuchians were a little larger. 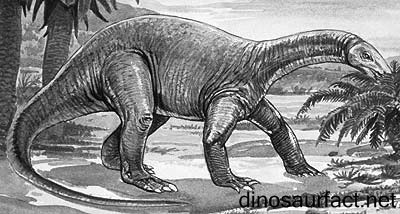 Ellenberger believed that the Likhoelesaurus would not have exceeded about 120 kilos in weight. This information cannot be considered canon. Africa in the Jurassic period was rich with water bodies like rivers and lakes, with rainfall being intermittent. It is very difficult to say which animals the Likhoelesaurus was related to. Ellenberger’s assessment was just his initial impression. The status of the Likhoelesaurus as a separate genus is undecided. It is cannot be said whether it was a dinosaur or some other reptile. The Likhoelesaurus greatly requires the discovery of more fossils.